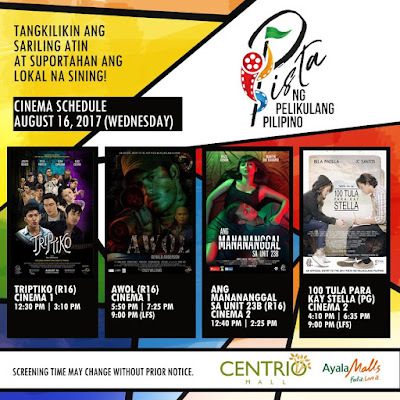 Here are the movie schedule for the Pista ng Pelikulang Pilipino at the Centrio Cinema on Wednesday, August 16th. Enjoy also our 4+1 Barkada Promo (this applies only for regular admission). 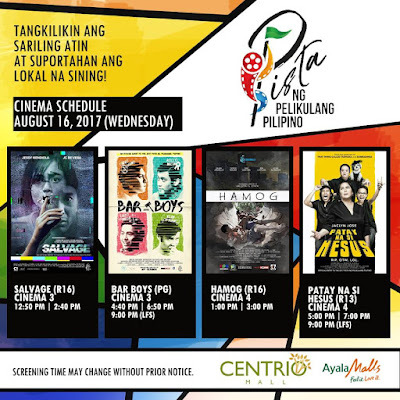 For every single purchase of four (4) tickets for one (1) film, customers will get one (1) ticket for free. 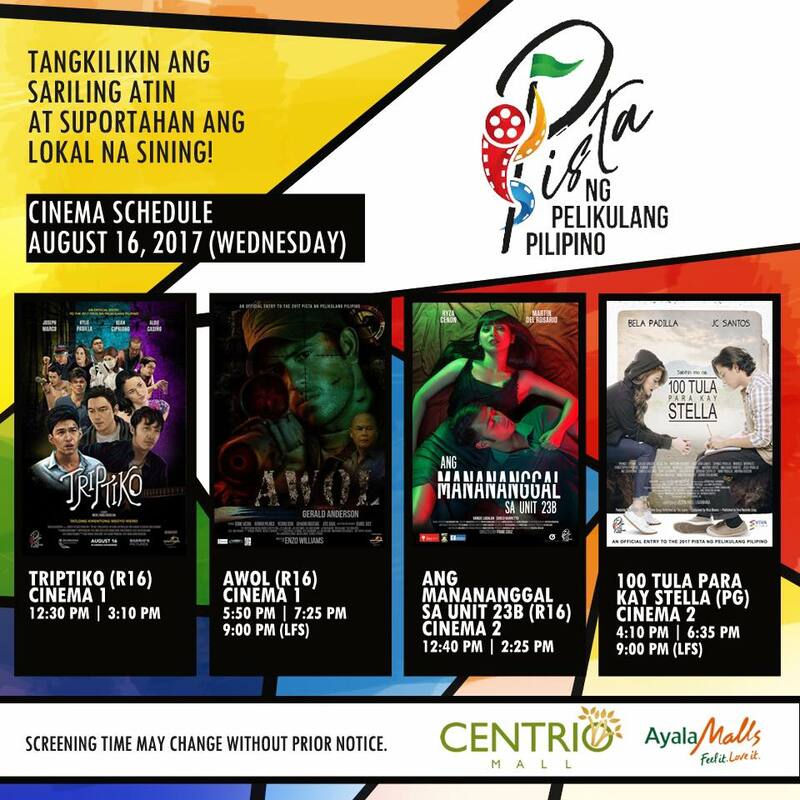 lastly, 100 Tula Para Kay Stella by Jason Paul Laxamana is also in Cinema 2 4:10pm, 6:35pm and 9pm as last full show. 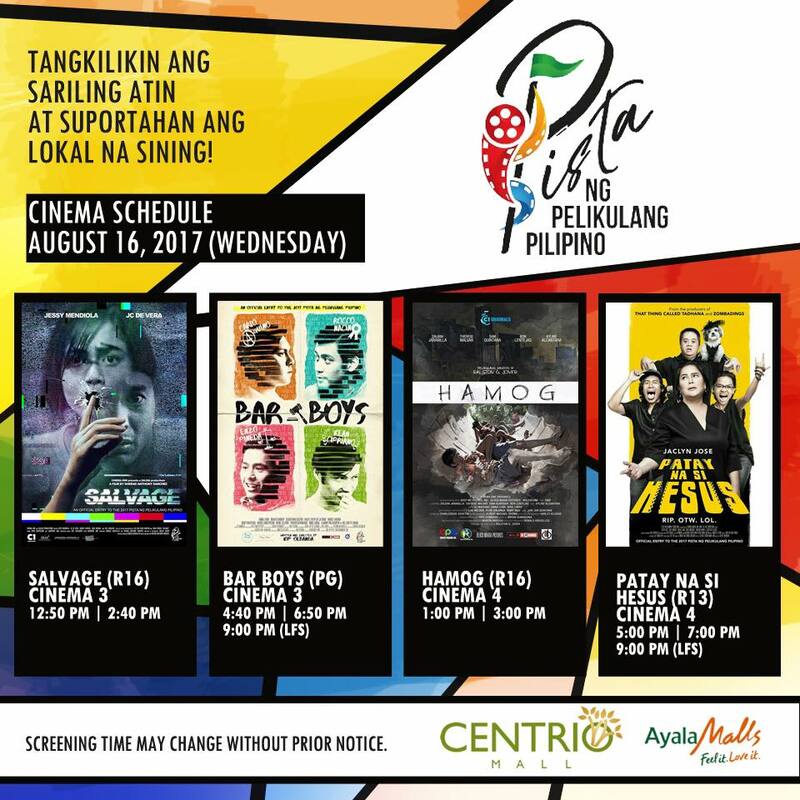 the other four (4) movies: Birdshot by Mikhail Red; Paglipay - Crossing by Zig Dulay; Pauwi Na by Paolo Villaluna; and Star na si Van Damme Stallone by Randolph Longjas will be shown on different day(s) so visit again for more updates.